Amazon has the AncestryDNA: Genetic Testing Ethnicity on sale right now for $59. 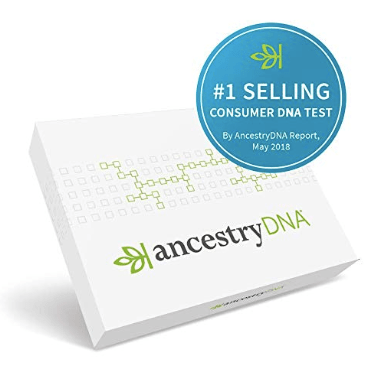 AncestryDNA is the #1 selling consumer DNA test. * AncestryDNA can trace your roots back to 500+ global regions. * Discover the rich details of your family story with AncestryDNA. * Only AncestryDNA can let you discover the recent migration paths and personally relevant historical details of your ancestors—all of it explorable with an interactive timeline. * *Substantiated by AncestryDNA, May 2018 report. WARNING: AncestryDNA highly discourages the purchase of our DNA kit from unauthorized resellers. To ensure the best experience and service, please purchase directly from AncestryDNA Official. DNA kits that are fraudulently purchased and then resold through Amazon may be deactivated by AncestryDNA, and may not be eligible for a refund.